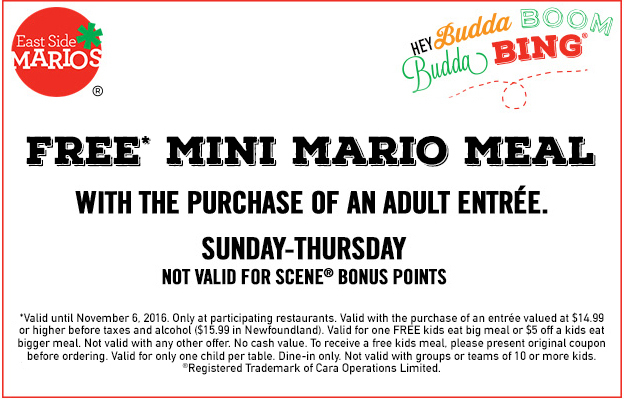 Get FREE Mini Mario Meal with the purchase of an adult entree! This coupon is valid until Sunday, November 6, 2016. This coupon is valid at participating restaurants between Sunday to Thursday. This coupon is valid until Sunday, November 6, 2016. This coupon is valid at participating restaurants between Sunday to Thursday. The $30 spend is exclusive of alcohol and taxes.